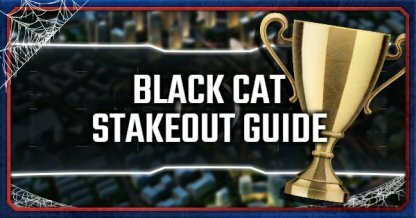 Check out this Spider-Man PS4 guide and list to find all the Black Cat Stakeout locations, RFID cat plush locations, the Dark Suit reward, and more! What Are Black Cat Stakeouts? 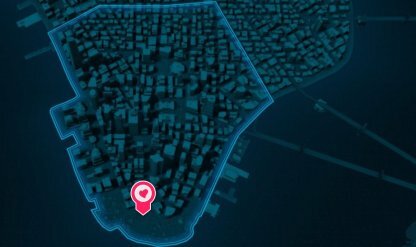 How To Activate Black Cat Stakeouts? Check Out Starter Tips For Early Game! The Black Cat Stakeout location on the northern middle part of the Upper East Side. 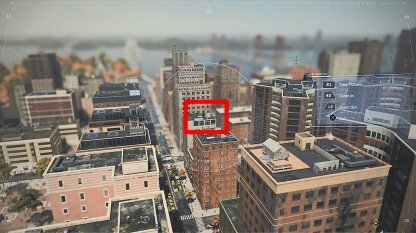 Look down & locate the green & white domed building - the cat plushie can be found by a slightly opened doorway with a Black Cat mural on its right. 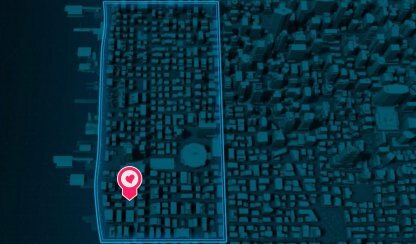 You can find this stakeout location in the western edge of the Upper West Side of New York City. 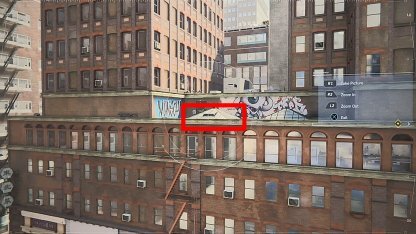 The cat plushie is peeping out of a roof trap door / vent on the roof of a red-brick building. 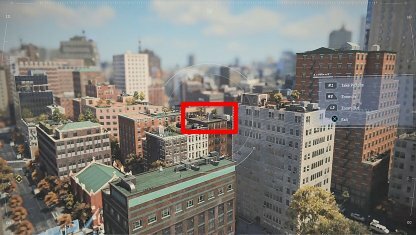 The first Hell's Kitchen Black Cat Stakeout location can be found on the north-western part of the area. You can take a photo of the RFID cat plushie by aiming your camera down & checking a jewelry store's shop window. A Black Cat wall art can be seen above the store's sign. 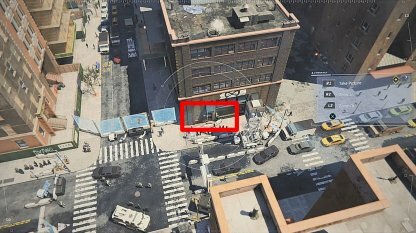 The 2nd Hell's Kitchen stakeout spot is at the south-western side of the map. 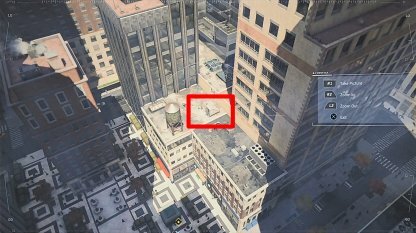 The cat plushie is hiding behind a semi-open metal vent on a roof deck covered in wall graffiti. 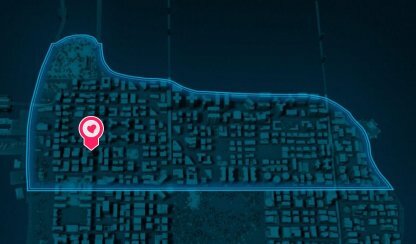 Midtown's first Black Cat Stakeout spot is at the north-western part of the map. Aim the camera down & check out the green water tower. To its right, there's a doorway where the small plushie is located. 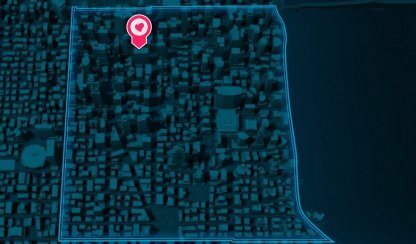 Check the south-west area of Midtown for the 2nd Black Cat stakeout location. 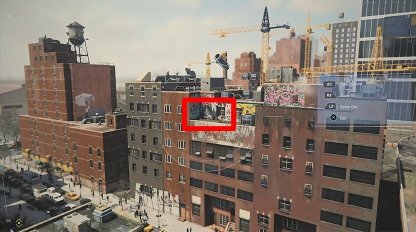 You can spot the cat plushie by some giant steel doors below a Black Cat Mural posted on a white brick wall. 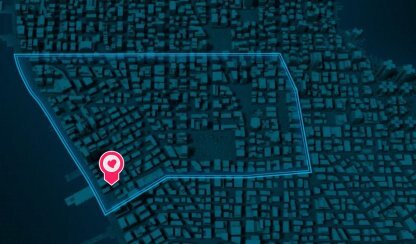 Head to the south-western part of Greenwich, at the edge of the map, to spot the Black Cat Stakeout area. 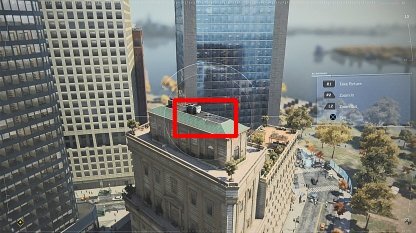 Aim your camera left & check for a building rooftop with two closed sun parasols. The cat plushie is located to the right of the umbrellas. 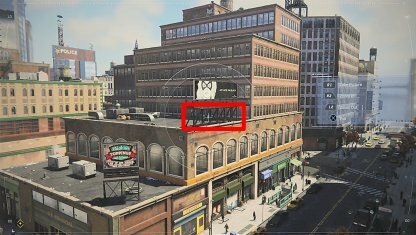 You can find Chinatown's Black Cat Stakeout location in the upper-middle part of the zone. The cat can be found hiding in an open panel of a glass-pane pyramid. The walls around it have a blue wall mural on the left & the eyeball alien art right behind it. 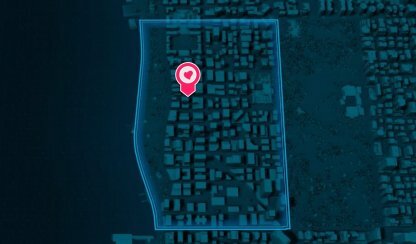 You can check out this Black Cat Stakeout location in the south-west area of Harlem. 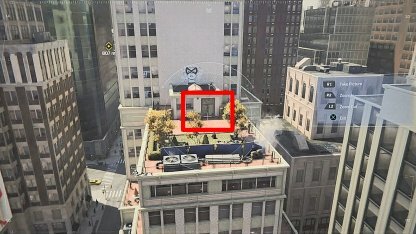 You can spot the RFID cat plushie on a rooftop door to your right. The door is decaled with Black Cat's face. 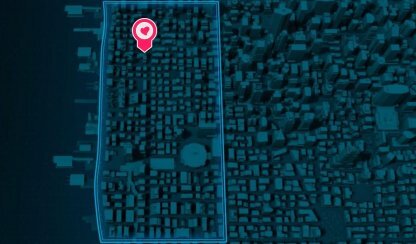 The first Financial District stakeout spot is at the very bottom part of the map. 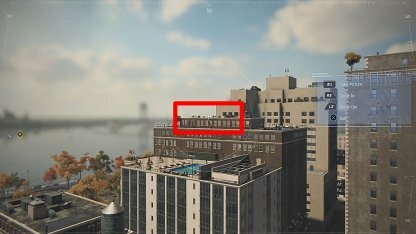 The cat can be found on a roof vent on top of a green-roofed building to your right. A Black Cat mural can be spotted on the wall to the left. 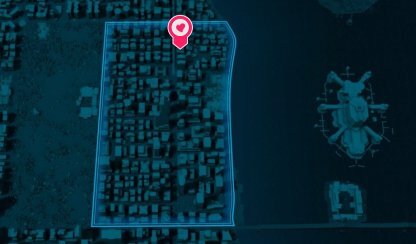 Head to the upper-east edge of the Financial District to get to the 2nd Black Cat Stakeout location. 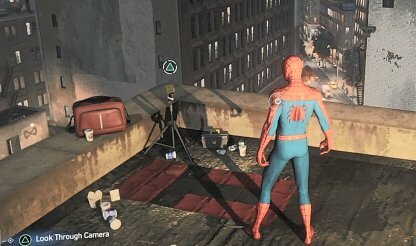 Check the Black Cat billboard on your right. You can find the small cat under the steel scaffoldings of the billboard. 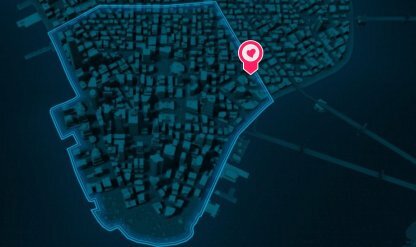 Once you complete all 9 Black Cat Stakeout missions, you'll be lead to a secret area where you'll receive the "Dark Suit". It has no suit powers but comes in sleek black & red colors. 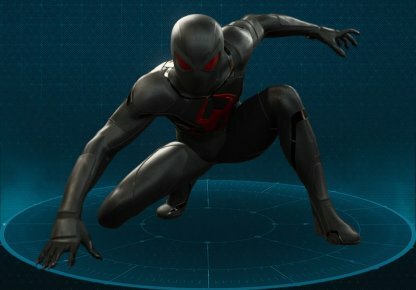 Check Out All Unlockable Suit List! 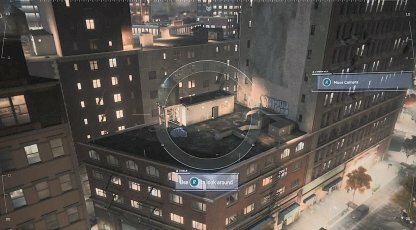 Black Cat Stakeouts will always have Spider-Man using an already available camera to search for an RFID black cat plushie. 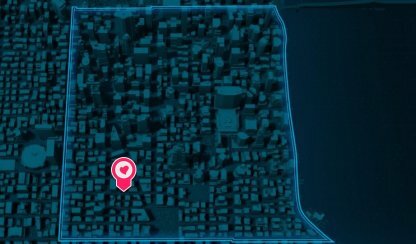 There are 9 Black Cat Stakeout missions in total. Use your "R" joystick to move your viewfinder around until you feel your controller rumble. This means the RFID cat plushie is already near your view! 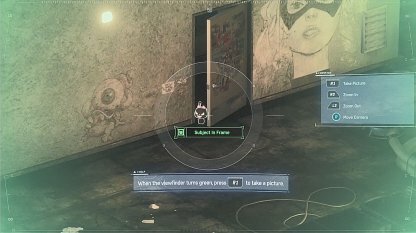 You'll automatically be led to your first Black Cat Stakeout mission as soon as you complete "Home Sweet Home" in Act 1. 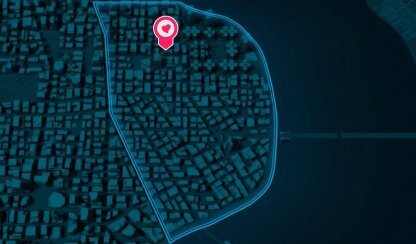 Follow your map markers to get to the stakeout location. 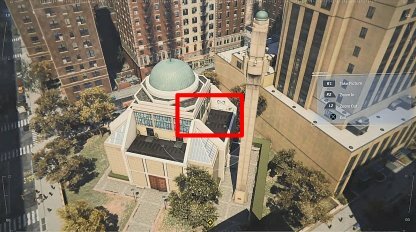 Check Out Act 1 Main Mission Guide!